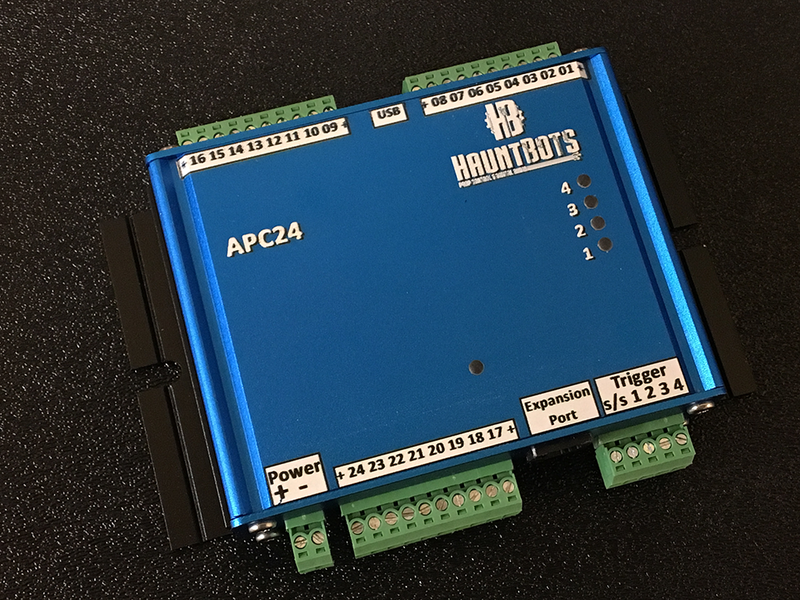 The APC24 extends the HauntBots line of controllers. The APC24 is not merely an APC8 or APC16 with more outputs. It has been designed from scratch to incorporate the most requested upgrades; More trigger inputs- optically isolated and can be triggered via sinking or sourcing triggers. USB programming port- No USB adapter required for your laptop. Just load the included USB driver, attach a USB cable and you are ready to go. Under the hood the processor runs twice as fast as our previous controllers, and has 4 1/2 times more memory space. This gives us room to play with some pretty cool firmware upgrades. 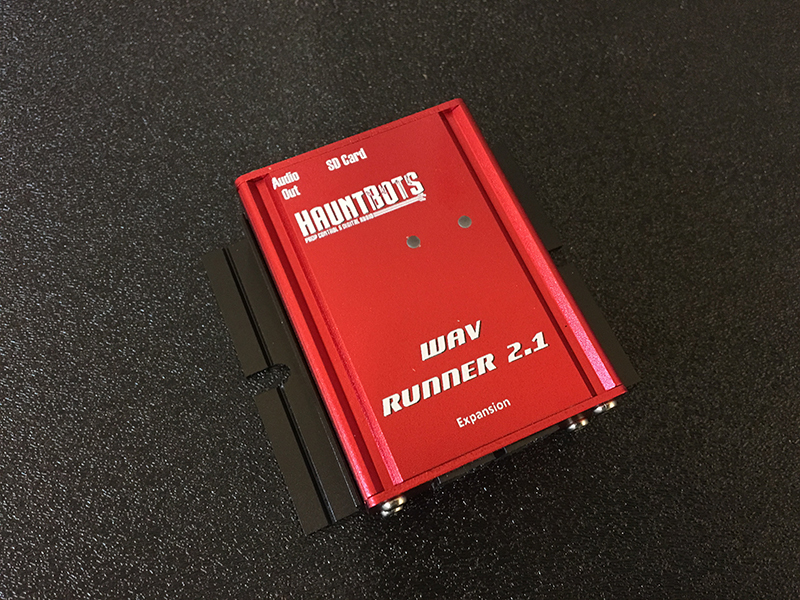 Like all of our recent products it is housed in a rugged metal enclosure featuring removable connectors and no exposed printed circuit boards to get damaged. 24 open collector outputs for driving DC voltage loads such as valves, relays, or LEDs. 4 optically isolated inputs to start / stop show or multi-show selection. Adjustable frame rate: 10 to 60 frames per second- Maximum show length at 30 frames per second is 12 minutes while 10 frames per second allows over 36 minutes of programming on all 24 channels.